Good morning everyone! Welcome to Day 1 of Bout of Books! Lori from Writing My Own Fairy Tale is hosting a giveaway today and the first Bout of Books challenge --- a survey! I do love surveys. 1. How do you organize your shelves? Well since 90% of my books are on Kindle, I don't have too much of an organization issue. I have physical copies of my absolute favorite books and they are organized in the most boring way ever -- by size. 2. What is one of your favorite books that is not one of your favorite genres? Good question! My favorite genre is YA Contemporary and my favorite outside of that genre is a mystery and thriller. 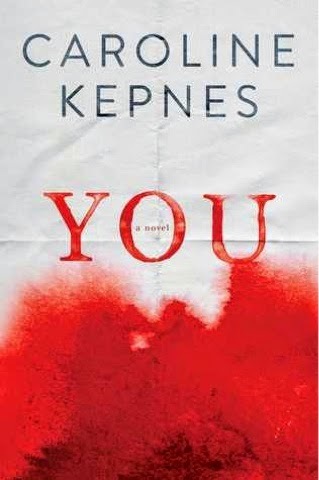 It is You: A Novel by Caroline Kepnes. I LOVED this book so, so much!! 3. What is the last 5 star book you read? 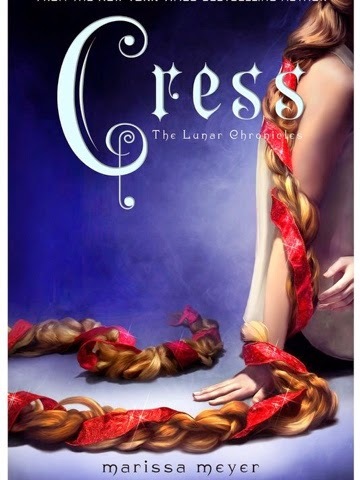 Just this morning, I finished Cress by Marissa Meyer. Holy crap, I love that series and can't believe I have to wait for November for the conclusion. 4. 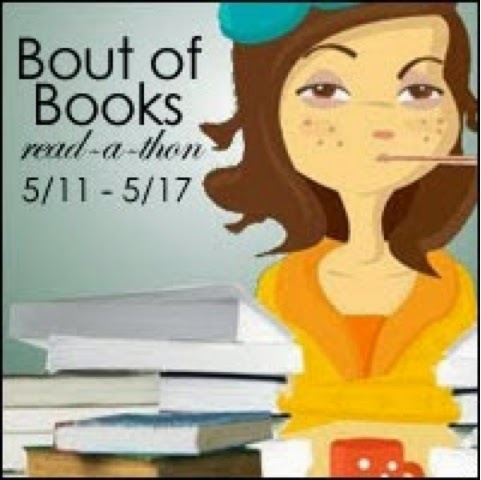 What book are you most excited to read during the read-a-thon? 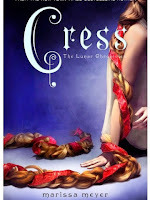 Now that I have finished Cress, I am very excited to read Some Girls Are by Courtney Summers. I loved All The Rage and this one gets great reviews as well. 5. What book do you recommend the most? 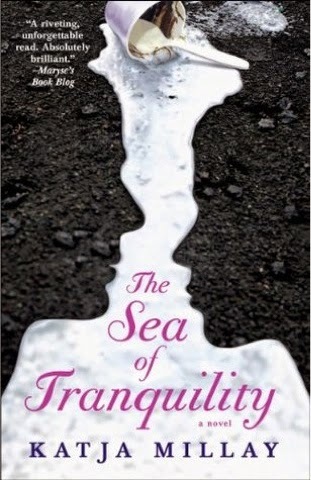 Hands down, one of my favorite books is Sea of Tranquility by Katja Millay. It is one of the most beautiful books I have ever read! What was your last 5 star read? What book are you most excited to read next (whether you are participating in the read-a-thon or not)? Thanks Milka! It was really good. I started and finished it today. I just couldn't put it down! Jasmine, oh I WISH I had your willpower. I was going to do that, but then . . . oh I just couldn't help myself! I totally agree with you! The Sea of Tranquility is beautiful! I love that book. And the last 5 star book I read was A Court of Thorns and Roses by Sarah J. Maas! Thanks so much for participating in today's challenge! Have fun this week! Thanks so much Lori! A Court of Thorn and Roses is on my TBR for sure. I have heard so many amazing things. Thanks Lauren. I love Bout of Books as well. And yes, you must read Sea of Tranquility. You are so right Isa. I am so nervous about the length of Winter. I have a feeling I will be on the edge of my seat the entire time! And yes, you need to read Courtney Summers. Both books I have read by her are AMAZING!! I haven't read The Sea of Tranquility, but I mean to. Good luck on Bout of Books! I loved reading the answers for this read-a-thon challenge!! Great post... Happy reading to you!! Rain Gods by James Lee Burke was my last 5 star read!! He is a new to me author this year!! I'm currently enjoying Innocent In Death by J. D. Robb. Yep, not needing a bunch of space is an awesome pro of the Kindle. I moved last year and it was a breed without hundreds of books. I have heard such good things about You. I need to check it out. You really do Crystal. It is so good! Top Ten Tuesday - Top Vacation Reads! Top Ten Tuesday - Top Authors I Want To Meet! Bout of Books 13 Final Update! Shakespeare Globe Theatre in London!